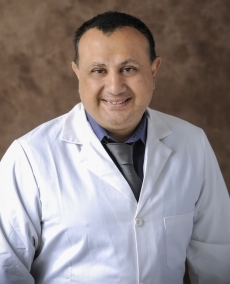 Shahram Mori, MD, earned his medical degree at St. Georges University in Grenada and completed his advanced fellowship training in hematology/oncology at the Arizona Cancer Center in Tucson, AZ. His exceptional educational background also includes a PhD in molecular biology from New Mexico State University and a postdoctoral fellowship at the University of Texas MD Anderson Cancer Center in Houston. Dr. Mori is a noted researcher who is on the cusp of the latest advancements in stem cell transplantation and cellular therapy. He aims to provide the most advanced and comprehensive care to patients with leukemia, lymphoma, myeloproliferative disorders and other diseases of the blood and bone marrow.